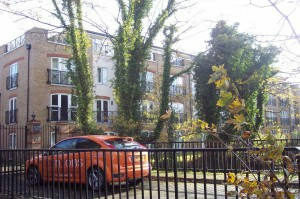 Tim Greenwood was appointed as surveyor to act on behalf of the Management Company in relation to a dispute between leaseholders and the developer of Waterside Court, Carshalton. Various leaks had been suffered by lessees following completion of the development, resulting in substantial damages internally. Tim was appointed to identify the faults and defects in construction, and thereafter prepare specifications in relation to remedial works. Tenders were thereafter sought on the basis of the specification and used as the basis for settlement of the claim with the developer, following which remedial works are to be implemented on site. Tim coordinated his inspections with a specialist leak detection company and worked closely with the lessees’ Managing Agent, Management Board and legal advisors in progressing the claim with the original developer.